As most of you know, I work at a museum in Miami--and am fortun ate enough to be a senior staffer at my institution. So I get to be at the table for great conversations about the institution, where we are and where we are going. For nearly two years we have been working on changing our name---today was the big unveiling of our new name, mission and vision. That's our new name. There were over 250 people at the unveiling and lots of press. It was very exciting. So needless to say I had to look cute for pictures! I had to look cute for yesterday too because I was accepting an award on behalf of the museum for a program that was a brainchild from my department. ...so lots of pictures there too. As you can see... yesterday I went cute and comfortable, but my prego brain is keeping me from remembering what shoes I wore! Oh dear... I used to be able to draw a weeks worth of these in detail, now I can barely do two days...whoah. Today I also went with cute and comfortable but I turned it up a notch, curling my hair and putting on a full face of make up. I'm calling this entry "Big Day" because I'm feeling BIG! ...Today was the first day people came up to me that did not know and asked if I was pregnant. Never expected to show this much at 3 months, can't wait to see what I'll look like a month from now. The other great part of today is that I got a new commission!! I'm waiting for the email with details...but a commission is always welcome. It's going to be for a little boy--which I know will be fun. As promised, here are the new sketches. I have to say that my look from last Tuesday is probably my favorite. I got the jacket from my friend Heather in a clothes swap and paired it with oldie but goodies like my Target gray dress, some fun pearls, a sash and fun fun shoes. Casual Friday: let me point out that that I used a new pen and didn't realize the watercolor would run...so I did use colored pencil with the next ones. I like the feel and texture that colored pencils give. I really like what I wore on Monday too---because again I paired one of my Target dresses with a flower sash from J.Crew I'd been coveting and got for my birthday from friends Katie and Brette (who's daughter I painted the ADR for earlier this year). More to come...its a busy week and I have to look cute everyday. This is what has been distracting me from a lot of things recently. It's been an interesting and wonderful journey thus far...and I haven't been sketching as much or writing as much because all I want to write about is this! My little peanut! We'll know if peanut will be a boy or a girl in another 6 weeks. Can't wait! 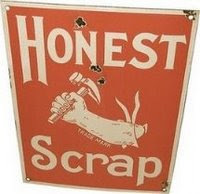 I want to thank Summer in Newport for giving me the Honest Scrap Award. I haven't been sketching a lot recently because I've been really distracted...so this is perfect! 2. This thing that has been distracting me is going to be out in the open this week and I can't wait to get it off my chest because I am so excited about this secret! Eeeeek! I can barely stand it! 3. Our house is going on the market and we have to pack up some things to get it into show ready quality! I can't wait for it to find new owners because it means that we can move onto the next phase of our home life...which I hope we will be able to live in for longer than our average of 4 years. I'm such a planner and I like to put plans on paper and then go go go! 5. I'm co-chairing an auction this fall and I really need to get some new and exciting auction items for it this year...less is more though. I also want to make sure that the event feels different enough from last year but is just as much fun. I'm so glad that my co-chair is a professional events planner!! 7. I've been wearing my glasses on the weekends lately...but am irked that I can't find my prescription sunglasses. They are cute and were expensive...so I am irked that I can't find them. 9. I'm heading out to lunch with my BFF in a little bit and I am so excited to see her and her baby! He's the sweetest boy, and although he is 6 months old, this big boy is wearing 12 mos! Hoorah!! OK!.... Have a great Sunday! So there we were, my mom and I...innocently waiting in line at the Old Navy in Downtown Dadeland this afternoon, when the ever present credit card pusher started walking up and down the line asking people in Spanish if we wanted to take advantage of the 20% discount. We nicely told her we weren't interested...but she kept coming back, until finally as we were next in the line she came up to us and said, "The managers and supervisors are lazy. Look at these long lines, and they don't do anything to help. Look the manager...fat woman, I just saw her walk out, and there she is, fat Mexican not doing anything. Oh, look---there she goes (manager in question starts making her way behind a register)...so fat"
I love music. I know that may sound cliche...but I really love music. I can sing a long to most songs on the radio, love going to concerts, and have an incredibly eclectic collection of music on my ipod. I was inspired by tonight's Glee...because I was singing more than usual...I love Madonna. What girl who grew up in the 80's doesn't? I've seen her twice in concert now and it was quite a show both times! 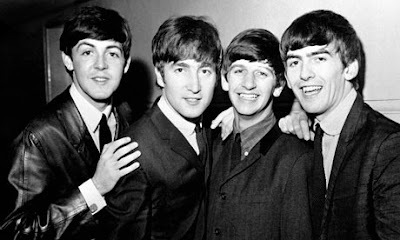 I do have a favorite band...and it is not a band from "my generation"...my favorite band is the Beatles ( as I have mentioned in past posts). I just adore the fab four and most of their solo work too (maybe not Ringo's...sorry Ringo). 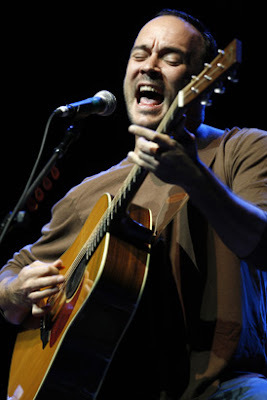 My favorite band from "my generation" is definitely the Dave Matthews Band. I'll never forget the first time I saw them...freshman year at SMU in the fall. It was a cool night, we sat on the lawn and sang and danced the entire time! Anyhow-- I started some sketches tonight and will post them soon I promise. I was just inspired by something else tonight. Every April 15 since about 1994, I can't seem to get the Beatles song, "Tax Man" out of my head. The best part of the day really was at the end of the day at an event at the museum, which was catered by Lime. OH...how I LOVE LIME! SO good. Highly recommend it, if you are in the Miami area there are a few to chose from, and one on the way on Flagler right Downtown. Hope you had a nice Thursday and are looking forward to Friday as much as I am! It has been busy. I'm not going to lie...with the Junior League wrapping up and the Junior Orange Bowl year just gearing up. My JLM co-chair is having her baby in about 2 weeks, so the last month is going to be totally in my hands. 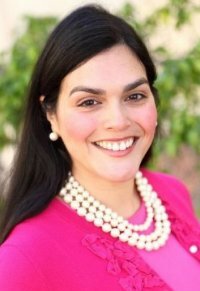 She and I have been prepping for it...and I will say that I am thrilled for her, but selfishly will miss her at our remaining events...my JLM wife. The JOBC year also just got started and I'm chairing the auction again...how and why I do these things to myself is beyond myself...fortunately this year I have an amazing co-chair and a stellar committee...with the event in October we need to get cracking now. So it's been busy. ...but I did sketch again and hope to keep up with it more often now that I've gotten the ball rolling. In a couple of weeks my random MIA-ness will all make sense....I promise. In the mea n time I thought that I would share my new head shots taken for the museum. I painted the look a few weeks ago---but thought it would be fun for you to see what the actual head shot ended up looking like with the ensemble I picked. There were several taken, but I think these two are my favorites. One of them I am already using as my Facebook profile picture (the one on top). Anyhow, I hope you've been well. Mine was quite memorable...starting with Saturday night. When I was about 15 I discovered the music of the Beatles and fell in love. I quickly bought all their albums, and with in weeks knew all the words. I even became a fan of the solo work of the Fab Four...so when on Friday afternoon D said he had been offered tickets to the Paul McCartney concert, I nearly jumped out of my skin in excitement! and 40 songs. It was amazing! AMAZING! There are some things I really wanted to experience musically in my life, and that was one of them. It's the closest I'll ever get to a Beatles concert. Sunday naturally was lovely...celebrating Easter with the family. A lot of good food and good times with the family after a beautiful service at St. Philip's. Eventually the weekend had to come to an end and the work week began again. SO...here are the past few days in my wardrobe. A little of this, a little of that....a whole lot of me. I use to work with a bunch of amazing April Fool's pranksters. They would pull of the most elaborate pranks on everyone in the office...it was hysterical (especially when you weren't one of the victims). That was years ago...today I barely knew it was April Fools Day. If it hadn't been for Google changing its name to "Topeka"...and Jeopardy replacing A with Doogie Howser, Will Farrel and others throughout the show...I wouldn't have known. I hope you had a fun April Fools Day!